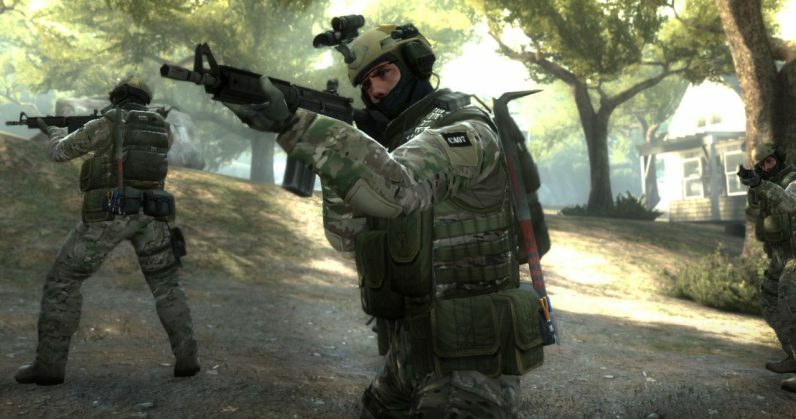 Valve today revealed it’d be adding a battle royale mode to its FPS Counter-Strike: Global Offensive. I presume it was feeling left out. The new mode will be automatically added to the files of all existing CS:GO players, and is called “Danger Zone.” You’re welcome for getting the Kenny Loggins song stuck in your head. Danger Zone sounds like what you’d expect from any battle royale mode. According to Valve, Danger Zone is, “a fast-paced battle royale game mode built on CS:GO‘s tactical gameplay where players use their wits, skill, and resources to fight to the finish.” Players must compete for resources with up to 17 others, and the goal is to accrue cash as well as supplies. Cash can be found in the world, and also gained by completing tasks such as hostage rescue. There are some differences between this and the likes of Fortnite or PUBG. For starters, the map is divided up in hexagonal sections, and some sections are randomly bombarded by airstrikes, in addition to the closing map boundaries. If I remember correctly, this was also a feature of slightly less-popular battle royale game The Darwin Project. Another significant difference is that you have a tablet you can use to track enemy movements and their deliveries. That does create the issue of whether, if you know where other players are, you pursue them to up your kill count or avoid them like the black death because you know you’d be outmatched. The game is also free-to-play now. It introduced a free mode earlier this year, in which players could face off against bots offline, and perhaps acted as a way of easing new players into the game. According to Valve, the guns will look and act the same way in Danger Zone as they do in the base game, and anyone who’s already a CS:GO player will be granted Prime status. Prime and non-Prime players will, according to PC Gamer, be separated into two matchmaking pools. Read next: Comparison: Is Astro's A50 gaming headset worth $200 more than Logitech's G433?